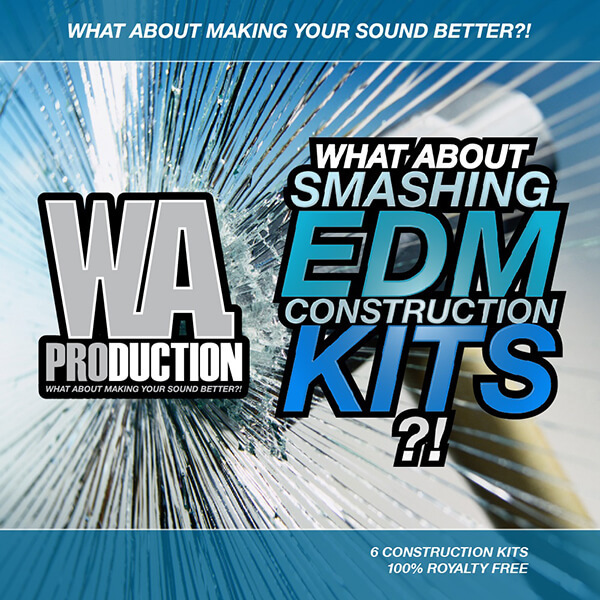 ‘What About: Smashing EDM Construction Kits’ contains six phenomenal EDM Construction Kits, covering Big Room and Progressive genres. In this product you’ll find huge drops and melodies as well as fat kicks, FX, drums and vocal samples inspired by the biggest names in EDM. These kits take inspiration from the likes of Showtek, Ummet Ozcan, David Guetta, Blasterjaxx, Maritn Garrix and many others. All loops are provided to you as 100% Royalty-Free. ‘What About: Smashing EDM Construction Kits’ contains over 150 of the biggest samples and most versatile MIDI files, providing you with the freshest top-notch sounds and melodies out there featuring melodic verses, escalating buildups and massive drops. Drop tracks are rendered with sidechain and without to give you maximum freedom. Everything is 100% Royalty-Free and ready to drag and drop right into your mix. What About making your tracks smashing?